Apple’s first-ever wearable device can boast of a number of sensors capable of monitoring your health, the support of Wi-Fi and Bluetooth, which help to pair the device with the iPhone, Apple Pay, Siri, which can be activated either by holding the Digital Crown, or simply by saying “Hey Siri”, Force Touch and a bunch of other features I’ve already mentioned in my previous posts. However, there are some things about the device that need to be highlighted separately. These things include the display sizes, prices for different versions of the Apple Watch and the start of sales. As you probably know, there are three versions of the smartwatch, namely, the Apple Watch, the Apple Watch Sport and the Apple Watch Edition. Each of these versions will be available with several different bands and sizes of display. 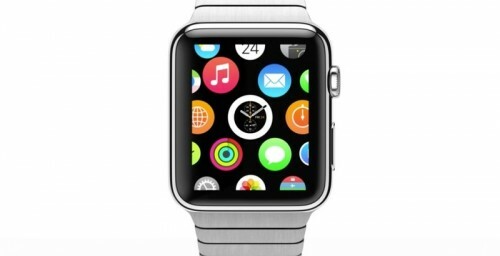 The customer will have to choose whether to purchase a 38mm or a 42mm gadget. Of course, the price will be difference for each model. The cheapest version will cost $349, the mid-level smartwatch will get a price tag of $549-$1099 and the most expensive model made of gold will become yours after you pay $10.000. One will get an opportunity to pre-order the Apple Watch after April, 10th. Beginning from April 24th, the smartwatch will hit the store shelves in the USA, the UK, Australia, Canada, China, France, Germany, Hong Kong, and Japan. Stay tuned for more news related to specs of the Apple Watch and make sure you follow us on Twitter.